At a well-attended Annual Meeting, Reservation HOA members overwhelming defeated a proposal to change the Association’s name, with 96% of members voting to retain the “Reservation” name. 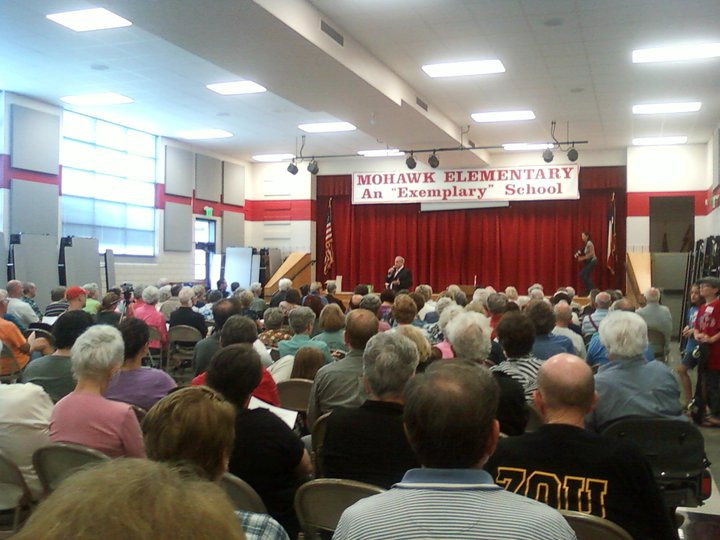 More than 200 residents attended the meeting. Also, a resolution was overwhelmingly approved, with more than 90% of residents voting to recognize “The Reservation” as the official name of the neighborhood, to be used in entryway signs and other neighborhood identifiers. Along with votes tallied at the meeting, residents unable to attend the meeting had expressed support for the “Reservation” name by a margin of 135-to-14. The membership heard one presentation against our name and then one presentation in favor before voting. Reservation HOA President Darrell Day pointed out that 90% of American Indians living in our neighborhood had expressed strong support for the name, and also explained that the “Reservation” name is a valuable branding tool, since it’s the only name by which Richardson Realtors know the neighborhood. The membership approved three additional Board positions in 2011, Membership Director, Communications Director and Events Director, with those new Board positions yet to be filled.